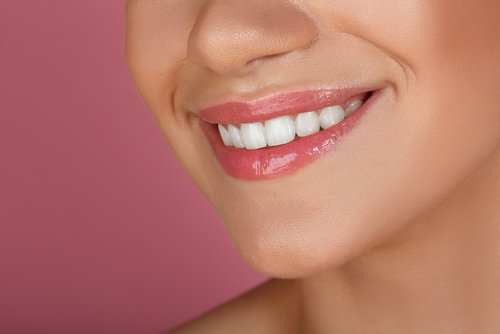 Have you avoided pursuing a smile makeover because you’re nervous about the results? This feeling is normal. After all, changing your appearance in any way is a big deal and you want to make sure the results will be flattering and perfect. For patients who need a little extra confidence before they say yes to their NYC cosmetic dentist’s plan for their new smile, there is digital smile design. 1. Preview your new smile before it becomes a reality. Some people need proof before they’ll believe something. Digital smile design software allows your dentist to take a photo of your mouth and edit it so you can see what your new smile will look like. You get a good look at your future teeth before even one tooth is prepped or one veneer is placed. All the anticipation, none of the commitment – at least, not yet. 2. Take time to review your smile makeover. Once your smile makeover has been drafted, the smile design can print photos of your potential new teeth. This perk gives you the opportunity to go home with physical copies of your smile design, so you don’t have to try and imagine your new smile but can see exactly how wonderful it will be. 3. Share your potential smile makeover with family and friends. Share visuals of your dental dreams with all the people whose judgment you rely on most. Clip the photo to your fridge, carry it around with you, take a photo of the design and text it to your nearest and dearest, post on social media and gather feedback. Do whatever you need to do to reach a final decision about your new smile. 4. Consider all the options. Maybe you’re torn between several cosmetic dentistry options. Should you get porcelain veneers or should you get cosmetic bonding, teeth whitening, and porcelain crowns? The commitments are very different time-wise and budget-wise. No matter what, the results will be amazing under the hands of an experienced Manhattan cosmetic dentist, but being able to visualize all the possibilities will help you be at ease with your decision when you finally make it. 5. Feel good about your investment. Major purchases shouldn’t come with a leap of faith. After all, you test drive a car before you buy it, you inspect a house before you sign the paperwork, you try on clothes before you slap down the credit card, you read reviews before you buy furniture or electronics. You deserve to feel confident about the smile you’re about to invest in too, and looking at your digital smile again and again will convince you of the right choice for your oral health. Visit a Midtown cosmetic dentist who can bring your smile makeover to life with digital smile design. Your smile is not like anyone else’s. Viewing a smile gallery is informative and inspiring and makes you feel good about the skills of your chosen dentist. Seeing your very own smile makeover is ten times better. Schedule your appointment with Dr. Michael J. Wei at his dental office on Madison Avenue. Get ready to see your flawless smile.